At Bank Street Kia in Ottawa, we recognize that you have a world of options when shopping for a new or used vehicle. Choosing a dealership is the first step, and you can always count on an exceptional experience when you visit our showroom. Our team strives to provide standout service for each and every customer at our Ottawa Kia dealership. Whether you know precisely what you’re after or you haven’t the faintest idea, our expert sales staff can help to point you in the right direction! From the latest Kia models in our showroom to our selection of pre-owned vehicles, every car and truck we offer is sure to please. Better yet, our Kia dealer is just minutes from Gloucester or Gatineau, so coming in for a test drive is always a breeze! Once you’ve found the perfect car for your needs and lifestyle, our professional financing team is here to help. Whether you’re looking to buy or lease, we can help you to understand the finer points of your purchase while taking advantage of all the latest specials at Bank Street Kia. We’re here for you beyond the initial sale, as well. Whether you bought your vehicle from us or not, our factory-trained and certified technicians are qualified to handle all of your maintenance requirements throughout your ownership experience. If you need unexpected repairs, we’ve got you covered then, too. Whatever your automotive needs are, the experts at Bank Street Kia area in your corner. For more information on our inventory and services, we invite you to contact us online or to call our team at 613-801-0279 today. We look forward to serving you! Visit our Kia dealership today at 2559 Bank Street South, Ottawa, Ontario K1T 1M8. Bank Street Kia carries new Kia Cars, SUVs, Hatchbacks, Vans, and Coupes. We're proud to be located in Ottawa, Ontario. At Bank Street Kia we will do anything and everything to earn your business. 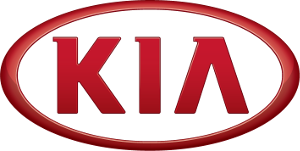 Receive the best service possible for your new or used Kia vehicle at Bank Street Kia. We've got you covered with quality genuine Kia parts and factory-trained master technicians. Selling or trading your vehicle? Bank Street Kia sells thousands of used cars, and we buy them too! Let us estimate your vehicle's value for free, and please search our fantastic used vehicle inventory.